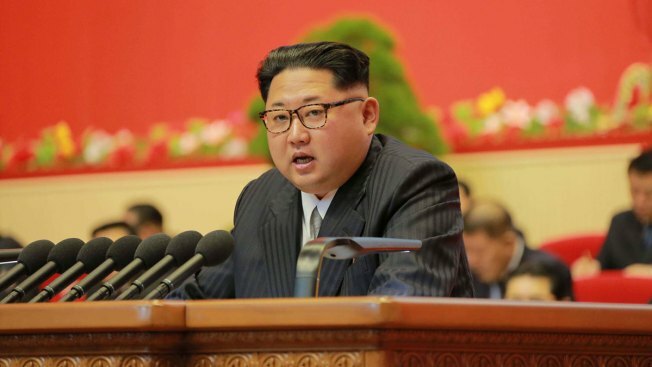 This photo taken on May 7, 2016, and released on May 8 by North Korea's official Korean Central News Agency (KCNA) shows North Korean leader Kim Jong-Un. Although China remains the North's biggest source of diplomatic support and economic help, Beijing this year agreed to punishing new sanctions on the regime and observers say trade relations between the two have declined dramatically. Ri Su Yong, chief of the ruling Workers Party of Korea's International Department, held talks Tuesday with his Chinese counterpart Song Tao, the Chinese Communist Party's International Department said on its website. It said Ri briefed Song about last month's Workers Party congress and discussed other unspecified issues of mutual concern. The two also reaffirmed the traditional friendship between the countries and pledged to boost inter-party exchanges in order to "shore-up and develop China-North Korean relations and strive to advance regional peace and stability," the department said. Beijing-Pyongyang ties have cooled significantly this year under North Korea's young leader Kim Jong Un, largely due to his regime's aggressive pursuit of nuclear weapon and missile technology. Although China remains the North's biggest source of diplomatic support and economic help, Beijing this year agreed to punishing new sanctions on the regime and observers say trade relations between the two have declined dramatically. While the May party congress was North Korea's biggest political event in decades, experts on North Korean politics said there was less top-level personnel reshuffling at the event than expected, underscoring the stability of Kim's powerbase.